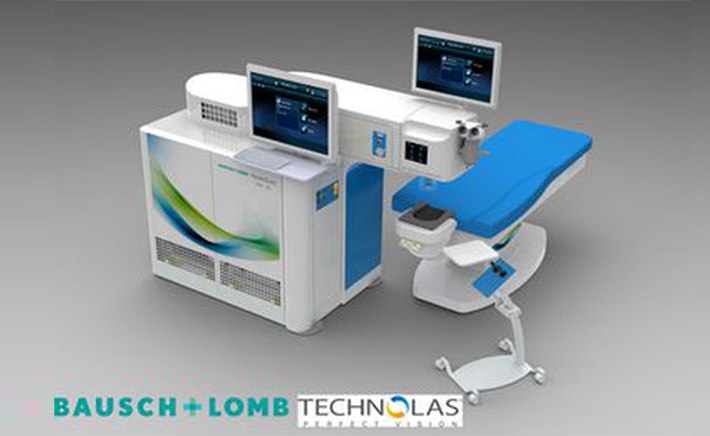 The Bausch & Lomb companies and Technolas PV (TPV) have implemented the femtosecond laser platform Victus, a support system for ophthalmic interventions of cataract, refractive surgery and therapeutic procedures in a single platform. The Victus system is considered the first laser platform of its kind, able to exploit the benefits of femtosecond lasers for various ophthalmic surgical procedures. Victus The platform is currently available for cataract surgery. This is one of four major platforms currently offered for the realization of the cataract surgery assisted by the Femtosecond laser. It also allows the realization of corneal surgery (LASIK hoods, intra stromal incisions: INTRACOR), the possibility of entry incisions in cataract surgery available today. An extension of your own skilled hands, VICTUS each procedure starts with precision and control. Advanced Docking technology is designed to reduce the possibility of inclination of the eye and distortion, allowing better centering, more accurate cutting and fragmentation, and greater stability, while minimizing the possibility of subsequent folds or corrugations of the cornea. Visibility of the surgical field is optimized for live-action optical coherence tomography (OCT) to keep the surgeon in control, planning the course of treatment.